Sometimes, our pets can be a real hoot. Our furry friends have a unique way of mimicking our actions, although it’s not always intentional. It’s even funnier when these moments are caught on camera. Here are 15 photos of pets that were caught on camera acting pretty similar to humans! There are a lot of things pets have done to level them up to humans. But this picture is just bottom line cute. Maybe you expect your child to pick up your sunglasses and try them on. But you probably wouldn’t expect a cat to! Even if this photo is a little bit staged, one thing remains clear. 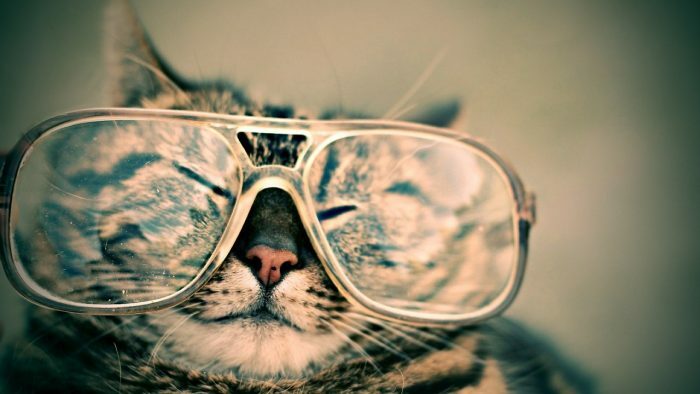 Cats should wear our accessories more often. They look a heck of a lot like us. And they look absolutely hilarious when they’re doing it!